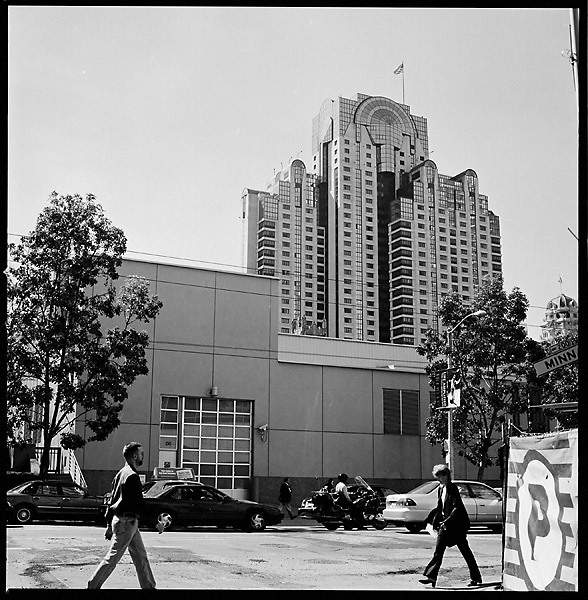 Marriott from 3rd: The view of the San Francisco Marriott from 3rd Street. I had my highschool prom there many many years ago. Hey, I didn't even realize till now that yesterday marked 1 year of this blog's existence. Woohoo for 1 year of photography! Hasselblad 500C/M, Planar 80 C T* ISO100, Kodak 100TMX film, Developed with Diafine @3+3.